From this moment forward, a U.S. taxpayer ought to recognize that IRS will have knowledge of a taxpayer’s financial assets outside of the U.S. that it did not previously have. 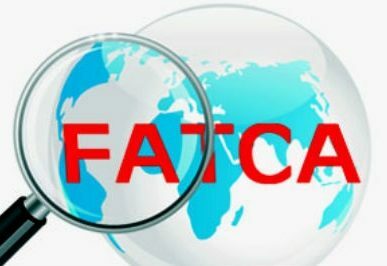 Before passage of Internal Revenue Code Chapter 4 (FATCA), a U.S. taxpayer faced little risk of discovery, income tax liabilities and sanctions, or a penalty from I.R.S. for not reporting his foreign financial assets or income. So, a U.S. taxpayer making a 10% return on an investment was actually keeping the 10% return. The United States has always taxed its U.S. taxpayers’ taxable income on a worldwide basis. Thus, absent a treaty or Internal Revenue Code benefit, there is no tax advantage for compliant U.S. taxpayers to investing offshore if the same pretax internal rates of return are obtainable in an onshore U.S. investment. Now that FATCA reporting by Foreign Financial Institutions is occurring, the previously untaxed internal rate of return from an unreported passive investment in an offshore structure will no longer be the actual rate of return. U.S. tax and reporting requirements applied to foreign financial assets and offshore passive investment will reduce an offshore structure’s return on investment. To explain further, given that the current highest effective U.S. tax rate on ordinary income is 39.6%, the long term capital gains or qualified dividend income rate is 20%, and the estate & gift tax rate is 40%, when they are factored into an investment decision, it can dramatically change the tax landscape for a U.S. taxpayer. Part of the rationale behind the activity of investing overseas has been asset protection; and in some cases – U.S. income tax non-compliance to maximize investment returns. Certain offshore jurisdictional confidentiality laws and rules have historically helped protect assets and increase effective rates of return in those jurisdictions. It is a reality that tax transparency will have a negative impact on actual returns from offshore investments. A U.S. taxpayer with offshore investments ought to consider whether asset protection structures with the potential for causing punitive taxpayer treatment in the absence of compliance merits increased costs associated with compliance, as well as the latent penalties associated with non-compliance. Finally, FATCA is here to stay, and the era of secrecy has ended.